A gifted surgeon illuminates one of the most profound, awe-inspiring, and deeply affecting achievements of modern day medicine–the movement of organs between bodies–in this exceptional work of death and life that takes its place besides Atul Gawande’s Complications, Siddhartha Mukherjee’s The Emperor of All Maladies, and Jerome Groopman’s How Doctors Think. When Death Becomes Life is a thrilling look at how science advances on a grand scale to improve human lives. 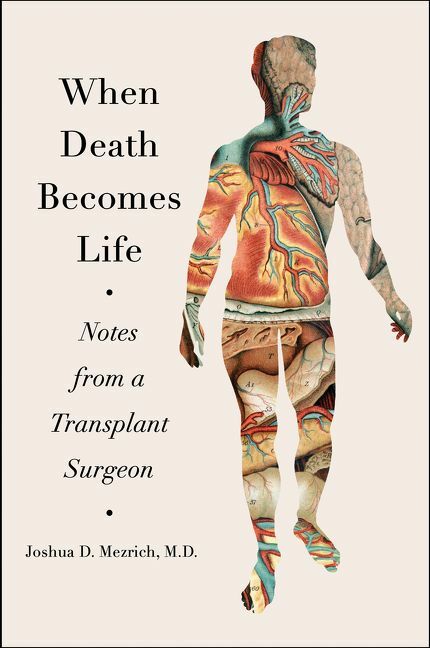 Mezrich examines more than one hundred years of remarkable medical breakthroughs, connecting this fascinating history with the inspiring and heartbreaking stories of his transplant patients. Combining gentle sensitivity with scientific clarity, Mezrich reflects on his calling as a doctor and introduces the modern pioneers who made transplantation a reality–maverick surgeons whose feats of imagination, bold vision, and daring risk taking generated techniques and practices that save millions of lives around the world.